In Thailand, elephants are regarded as noble animals that have had a huge impact on Thai history and culture. 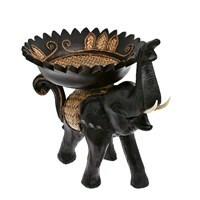 So much so, that the elephant was officially named the national animal of Thailand. 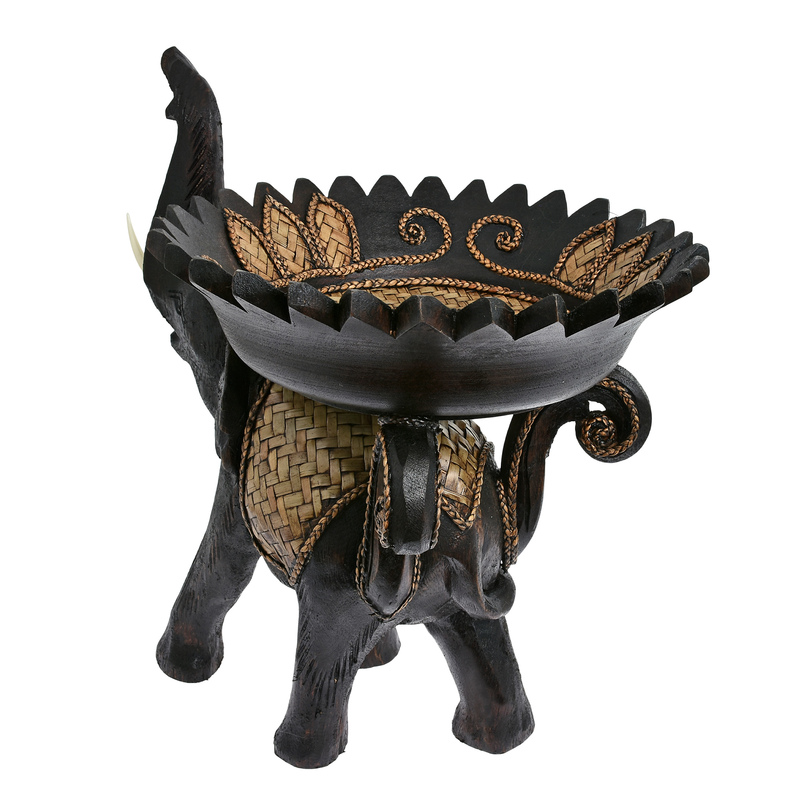 This beautifully hand carved piece, from Thai artisan Vichan, pays tribute to the iconic elephant. 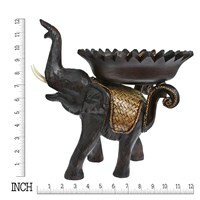 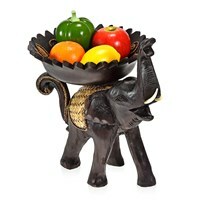 Skillfully handcrafted from Teak Wood, the design features an elephant proudly standing while supporting a decorative bowl. This versatile piece can serve multiple purposes, from a unique fruit bowl, to holding decorative ornaments or as an exotic centerpiece for your dining room table. 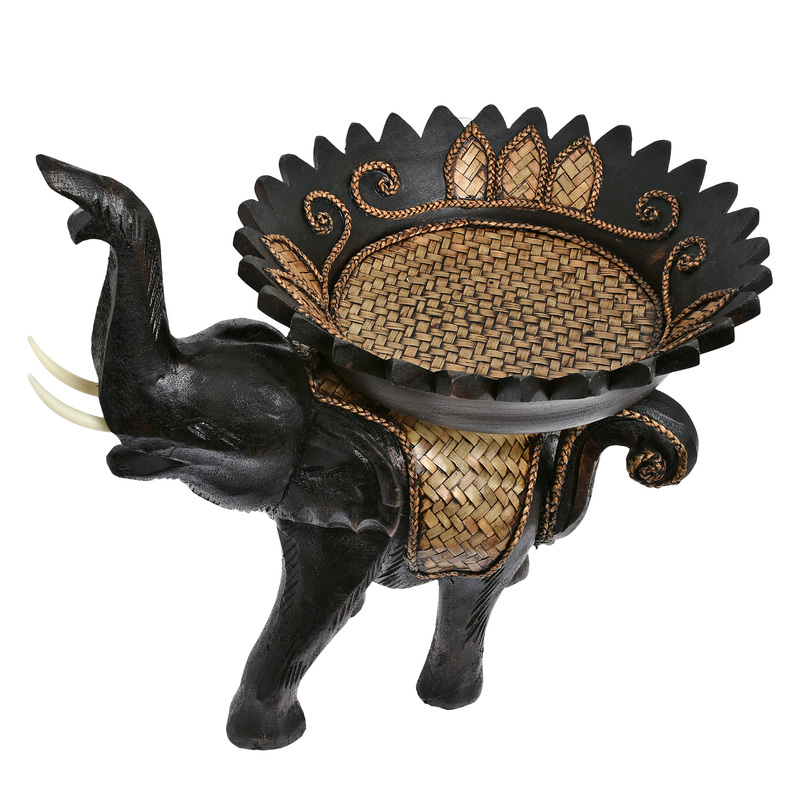 A truly unique piece of art that is sure to look amazing in your home. You can also see our other listings for other styles.